The Devon home where crime writer Agatha Christie wrote some of her most popular mysteries is to be opened to the public for the first time. 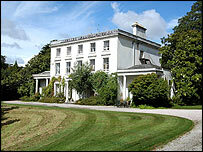 Greenway, which sits on the banks of the River Dart near Brixham, made thinly-disguised appearances in at least two of Dame Agatha's novels. It was gifted to the National Trust in 2000 but until now only the gardens and boathouse have been open to the public. The trust hopes it will be ready for visitors in three years' time. The announcement coincides with the inaugural Christie Week, a national celebration of the best-selling novelist of all time. The house is thought to appear in at least two books - Dead Man's Folly, written in 1956, and Five Little Pigs, written in 1943. The trust's property manager at Greenway, Robyn Brown, said: " In Dead Man's Folly the house is very thinly-disguised. "It is very redolent of Greenway and it's a joy to read." Greenway, which was gifted to the National Trust in 2000 by Dame Agatha's daughter Rosalind Hicks and her husband Anthony. Two years later, Greenway's 30-acre gardens were opened to the public along with the boat-house and footpaths on the 278-acre estate, but the Grade II* listed house remained the private residence of the Hicks'. Following the death of Rosalind in 2004 and Anthony in 2005, Dame Agatha's grandson Mathew Prichard has given permission to the National Trust to open up the 18th Century house, which the writer bought in 1938. 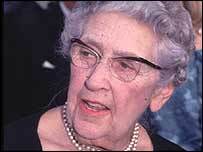 The family is also allowing the trust to display items owned by Dame Agatha, who was born in Torquay. Ms Brown said: "Although we have at least three years of vital restoration work to the house before we can open it to the public, we intend giving a series of special tours showing visitors some of this work in action. "The trust hopes to restore the heart and soul of Agatha Christie's much loved summer home. "We are immensely grateful to the family for all their generosity and support." Mr Prichard said: "I am delighted that they plan to open up the house to the public as well, ensuring the care of the property for future generations to enjoy."